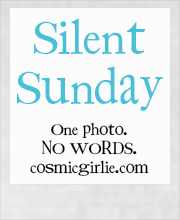 This entry was posted in Silent Sunday on May 10, 2014 by Lou. Amazing! He looks like he’s posing! Wow, cute looking fella… was he in your garden?? Oh, now she is gorgeous! Thanks for your comment on my lovely bee. I wondered what kind of temperatures you were having now? Just hanging around… very cute! Looks cute, but not sure I’d want him/her in my backyard! Reminds me of Over the Hedge. Great close-up. Fab photo! What a great creature! Hello! He looks cute, not so sure about his claws! great smile 🙂 what is it?? We have foxes and badgers but only at night. By the looks of things she has little mouths to feed. Oh , a hungry Sunday visitor, beautiful photo. She is a pretty little thing – great picture. Wow. What a fantastic capture. Love the expression on its face. Great shot Lou, I saw my first raccoon a couple of weeks ago; I’d not managed to spot one before as they are normally only out and about at night. Love this shot Lou!! Looks ready for some pole dancing in exchange for some treats!